Integration is the name of the game these days, and Google is taking steps to ensure that its own services offer integration with the tools and services people need to get their work done. With this in mind, the company today launches Gmail Add-ons after a beta testing period as a developer preview earlier in the year. 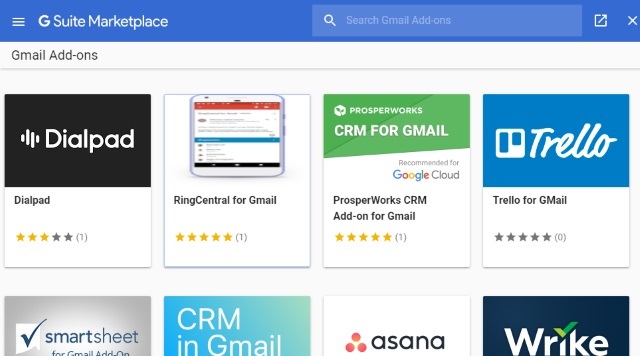 Gmail Add-ons are extensions that bring a number of big-name services -- such as Trello, Wrike and Asana -- to your inbox. While there's a definite business and enterprise bias, it's something that is available to everyone, starting right now. The arrival of Gmail Add-ons is Google's recognition of the fact that many people now spend a huge amount of time in their inboxes, and the company is trying to make its email service even more useful. Pleasingly, add-ons are available on both the web and on Android, and Google explains that "your inbox can contextually surface your go-to app based on messages you receive to help you get things done faster."